The student associations of the Faculty of Architecture and Urban Planning form an important part of student life, and are also organised around cultural and sporting events. These associations offer sponsorship systems that allow exchanges, knowledge sharing and peer support. 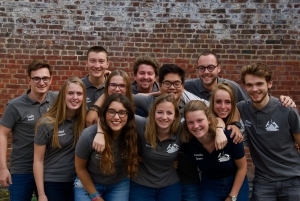 They are constantly active and proudly represent the Faculty and its endeavours at different university events in Mons. Students participate in the Faculty Council (CFAC) according to the terms of the decree on student participation and representation in higher education. Students are selected to represent their classmates during the various exchanges and votes of the Faculty Council. The A.G.E. Archi is the general students’ association of the Faculty of Architecture and Urban Planning and is composed of students from different years of study at Bachelor and Master level. The team aims to facilitate contact between the students, teachers and administrative services of the Faculty. A general presentation is given to new students at the beginning of the Bachelor cycle to explain how both the Faculty and the University work. A.G.E. Archi is actively involved in the development of sports, cultural and festive activities. Introductory sessions and training in different sports are organised on a weekly basis. A.G.E. Archi also organises regular visits, as well as projections and discussions, related to the discipline of architecture. During the year, several festive events are scheduled to strengthen the bond between our students. The Comité des Fêtes Archi is composed of students from different years of study at Bachelor and Master level, and represents one of the seven student circles of UMONS, called “Le Cercle Archi” (the architecture circle). Its mission is to promote the festive, sports, cultural and folklore activities of the Faculty. It also sets up student support services. During the year, the Committee organises many activities, some of which are open to all. 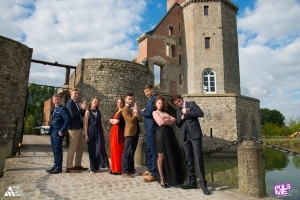 These include the Academic Ball of the Faculty, the Semaine Provençale (Provencal Week), the Descente de la Lesse (Kayak trip down the River Lesse), as well as activities reserved for “baptised” students, such as La Bleusaille, Saint Nicholas, the Folklore Team of the Mons Cup, and many parties.